A positive, affirming collection of essays that teaches how to understand and accept life’s darkest hours—The Voice That Calls You Home will improve the way you live each and every day. Andrea Raynor has gained a keen perspective on the meaning of life and death, comfort and grief, as a hospice chaplain, a cancer survivor, and a chaplain at Ground Zero following September 11. In the heartfelt tradition of Anne Lamott and Kate Braestrup, she uses her own experiences to remind readers that even in the direst of circumstances, we still have the opportunity to recognize beauty, to be inspired by the tenacity of the human spirit, and to feel connected to something greater. We may not be able to prevent the difficulties that come in life, but we can always choose the way in which we face them. 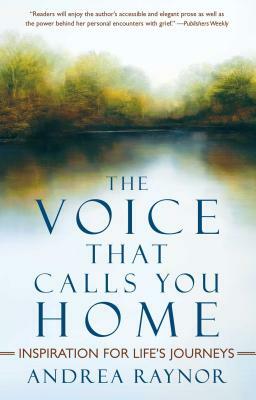 Warm, personal, and practical, The Voice That Calls You Home is a compelling guide to appreciating the wondrous world we live in, offering wisdom on how we can bear our inevitable sorrows with a steady eye and a sense of hope, and find an increased connection between the spiritual and the everyday. Andrea Raynor received her Master of Divinity from Harvard Divinity School and served as a chaplain at Ground Zero after the September 11, 2001 terrorist attacks. A cancer survivor herself, she now continues helping others through her hospice work. She lives in Rye, New York.